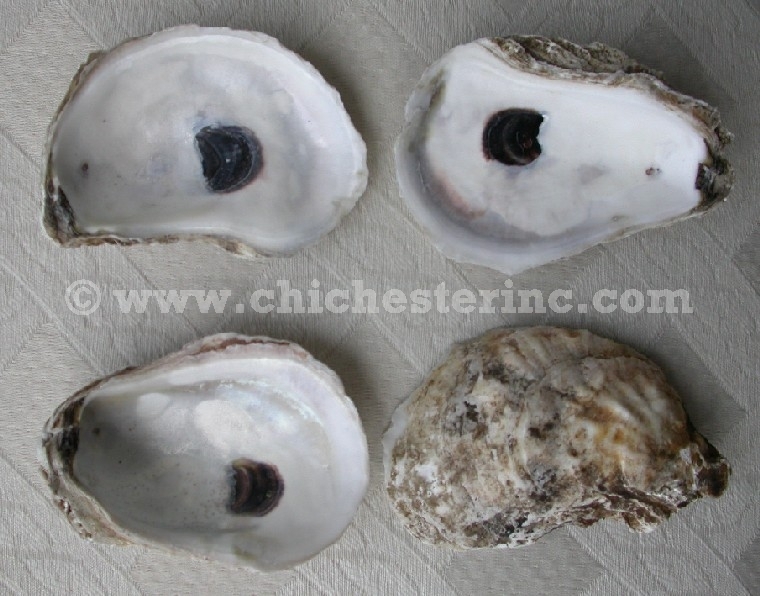 We stock oyster shells from eastern Canada. 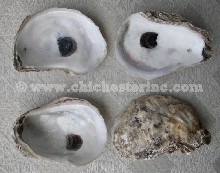 The shells have a milky white coloring with an intense purplish spot only found in cold-water shells. The shells have been washed in warm water and then bleached with household bleach. Genus and species: Crassostrea virginica. Wild. These oysters are not an endangered species.